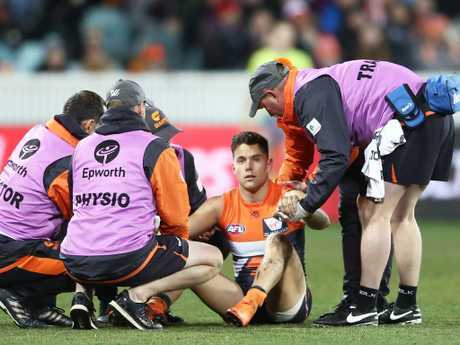 The Giants went on to win by 14 points but paid a costly injury toll with Heath Shaw (knee) and Sam Reid (hamstring) also failing to see out the match. Kelly would be a big loss for the third-placed Giants, who come up against Sydney and Melbourne in their quest to lock away a top-four finish. "In this particular case I believe there are elements of a sling (tackle) … it was a dangerous tackle and then it came to a question of impact," he told reporters. Josh Kelly was slung by Walker in an ugly exchange. "Clearly Josh Kelly was in a bad way … it took a long time for him to get from the ground." 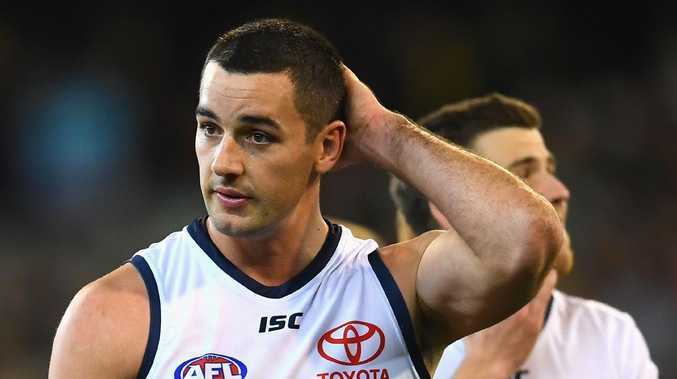 Adelaide has the option of challenging Walker's ban but is unlikely to do so with two games remaining, given the Crows are out of finals contention. Walker was the only player suspended. Clayton Oliver, Dan Hannebery, Dale Morris, Trent Dumont and Aidyn Johnson were all offered fines. St Kilda defender Nathan Brown was earlier referred to the tribunal for his crude bump on Essendon's Adam Saad and is looking at a season-ending ban.